Emily Hammond Cook (AB ’07) supports theater for all through her work on “Hamilton” and through her gifts to the University of Georgia. Emily Hammond Cook’s journey into the New York theater scene sounds familiar at first. After graduating from UGA, she moved to the Big Apple with no job or apartment—just big dreams and ambition. Emily’s interests, however, were not performing on the stage and under the bright lights, but working behind the scenes. 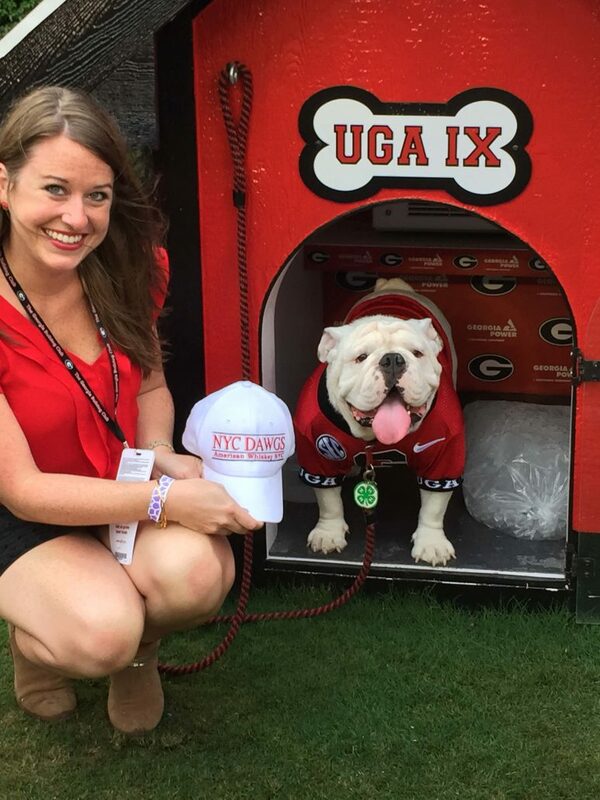 Emily got her start as a theater major at UGA, while also taking business classes. Emily now donates to the UGA Department of Theatre and Film Studies in recognition of the lasting impact it has had on her career. She hopes her gifts will help ensure the support the department deserves and will inspire others to acknowledge the need for funding. As president of the NYC Dawgs Alumni Chapter and a member of the 40 Under 40 Class of 2015, Emily remains deeply connected with her alma mater and encourages alumni in New York City to connect with their fellow Bulldogs. After graduation, Emily left for New York and landed an internship in the casting department of the acclaimed Broadway nonprofit theater company, Manhattan Theatre Club. “We knew the show was special and were confident it was going to be a hit, but we had no way of predicting the cultural phenomenon it has become,” Emily says. The show earned stellar reviews and played to capacity houses full of celebrities at The Public Theater before moving to Broadway. 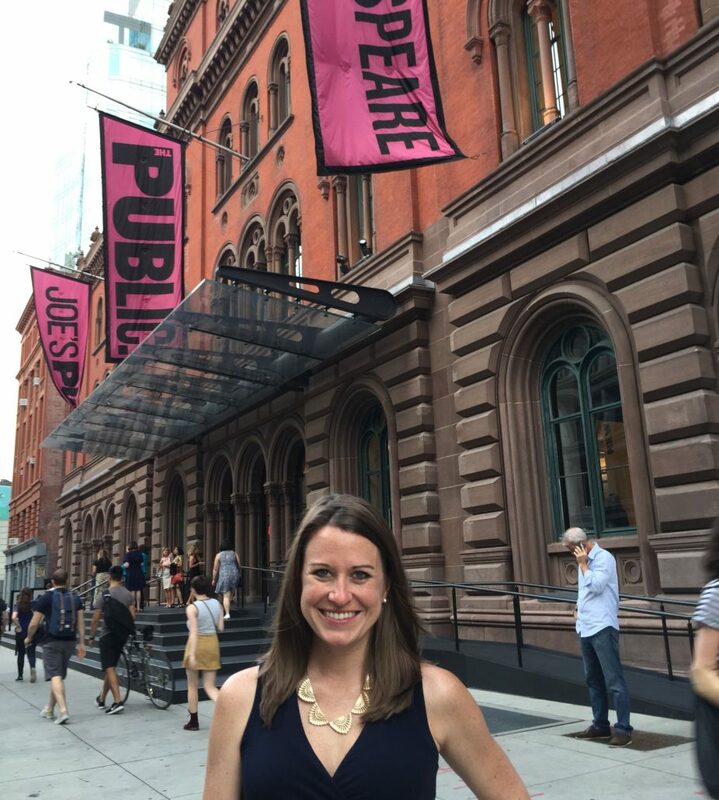 Show business goes on for Emily, who now serves as the general management planning and programs manager at The Public Theater. The theater produces 10 to 15 shows each year and presents the renowned Shakespeare in the Park, which has offered free productions in Central Park for over 50 years. —This article is adapted from a piece written by John W. English for the March issue of Georgia Magazine.